Before departing for overseas, I was farewelled. One of these was with my family at Cumin Thai. Despite living very close to this restaurant, we had dismissed it. It was a long time before I heard my first report on it. I was told that it was good but used to be better and had since gone downhill. 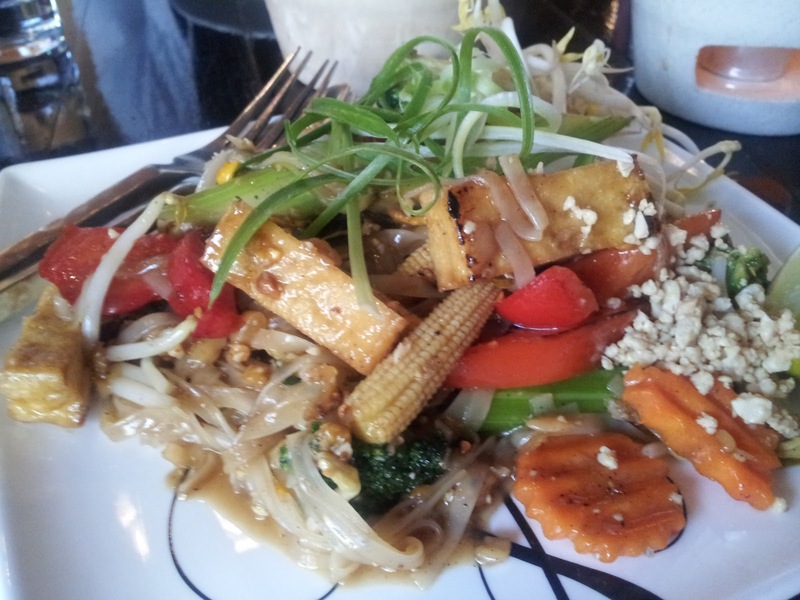 Arriving hungry on a Sunday night we ordered vegetarian phad thai and a vegetable green curry. The others also had meat curries - it seemed I could not convince them to be herbivores in this instance. The smiley waitress brought out the curries and soon after served us rice from a large dish. 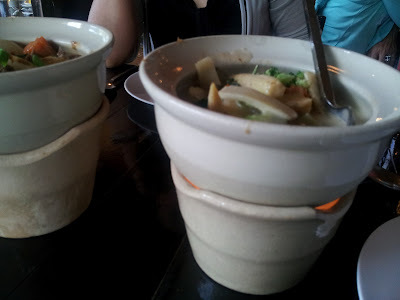 The green curry was very creamy and heavily flavoured with kaffir lime. The phad thai was flavoursome with lots of tamarind, chili and lime. Even if it used to be better, our meal was still enjoyable. Good Thai food is just one more thing to go on the list of what I will miss about Melbourne while I am travelling.